Just updated to pie. What happened to the swipe down from a corner to resize an app window? Click the tab on top of the app. I use this for the texting app. It allows you to pop in and out of messages (or other apps) without closing down another app your working in. It's one of my favorite options. It gives you a Facebook messenger type circular icon and opens in a pop-up window. The swipe down option was very convenient, sorry to see it gone. I use this now, mostly because I can't find the much more convenient swipe down method. Yes, exactly like chat heads. It is very cool. 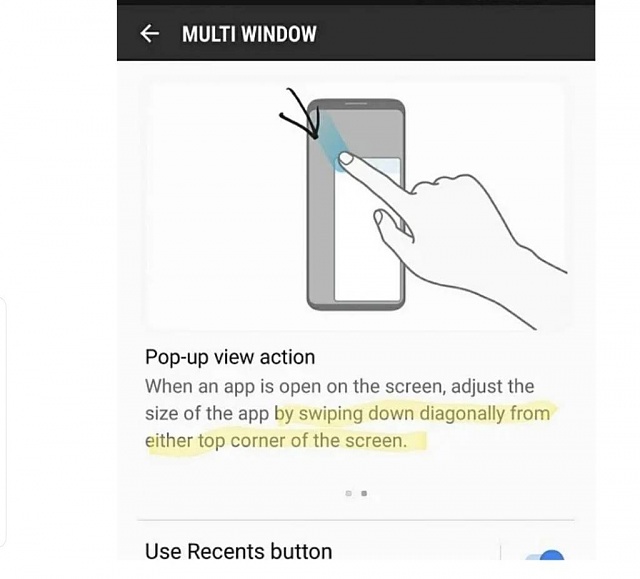 Also, if you use your phone or email app in multi Window view it will put all of them in one shortcut. When you tap the icon you can then choose which to open. Very convenient when multitasking. Mustang do you have a You Tube channel? if not you should. Interesting, I wouldn't know where to start. Lol you are camera shy ? Usually women dont have problems with cameras. I'm too busy for that , running my business ,family time, forums,working on the stang. Yep. I hear ya. I do admire all the folks who are so dedicated there like Sakitech, etc. If you enable smart pop up view, your message notifications automatically use that chathead window thing. I agree! He's been very hopeful in this forum. I use his tips a lot. mustang7757 and burrzoo like this. I don't mind helping at all , always look forward to everyone's post also. I'm not sure if this was a Good Lock feature before Pie, but it is now. Remove your SIM, clear store data, use VPN, download from Galaxy Store. Recent APPs list view on PIE? Can't view photo editor on s9+ since last software update today.